A good business plan can help to make a good business credible, understandable, and attractive to someone who is unfamiliar with the business. Writing a good business plan can’t guarantee success, but it can go a long way toward reducing the odds of failure. Business plans are decision-making tools. There is no fixed content for a business plan. Rather, the content and format of the business plan is determined by the goals and audience. A business plan is a formal statement of a set of business goals, the reasons they are believed attainable, and the plan for reaching those goals. It may also contain background information about the organisation or team attempting to reach those goals. 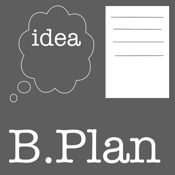 This app will help the user to create and edit Business Plans.Each plan can have up to twenty numbers of components(e.g. Executive Summary,Balance Sheet,Marketing Analysis,etc. ).The user can edit the name of the component,details of the component and name of the business plan and save the changes.Details of each component or Full Plan(automatically generated as the user edits the details of each component) can be shared via Email. Component Title,Details and Business Plan Name(e.g. Balance Sheet) can be changed by editing the corresponding text box. Full Plan Details can not be edited since it is automatically generated as the user edits the details of each component.